Experience true innovation—at your desk. Discover the latest technologies, best practices, and application trends for measurement, test, and embedded systems. Find the tools and knowledge you need. 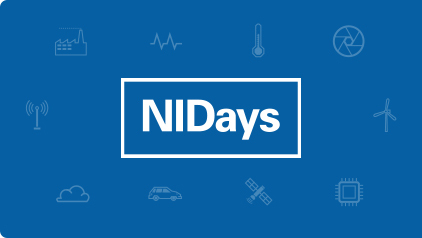 Virtual NIDays brings you some of the most popular sessions from NIWeek and NIDays. Learn how you can save time and money, improve productivity, and solve your engineering challenges with NI’s platforms. Click on a session below to learn more and watch now. Available now A Discussion about the Future of LabVIEW Python Resources for NI Hardware and Software Is Online Condition Monitoring Right For Me?